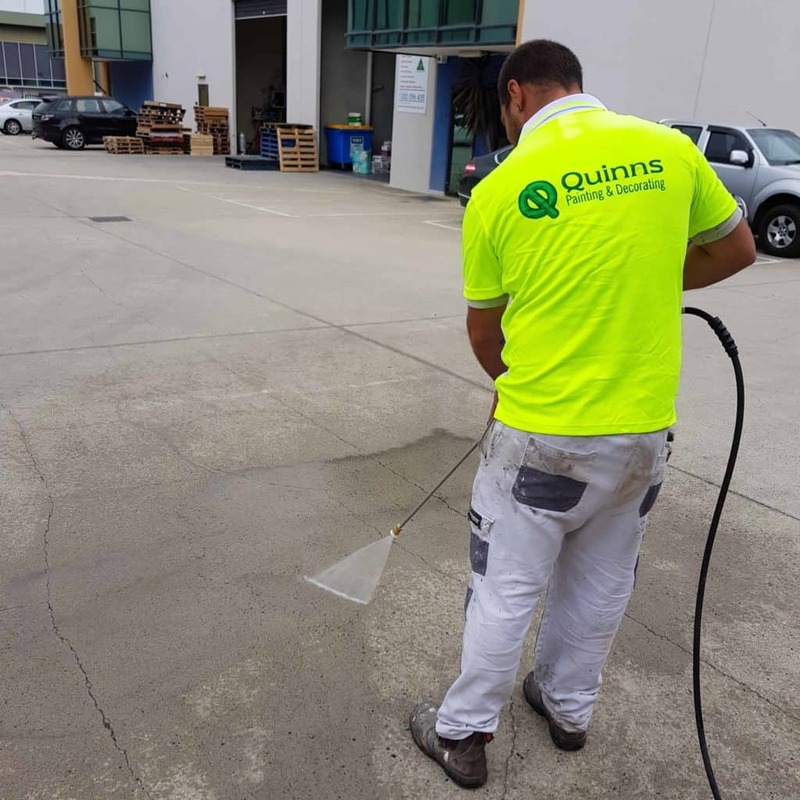 Quinns Painting specialises in all aspects of pressure cleaning hard surfaces. Whether it’s a domestic, commercial or industrial property our staff can help you restore your buildings surfaces. 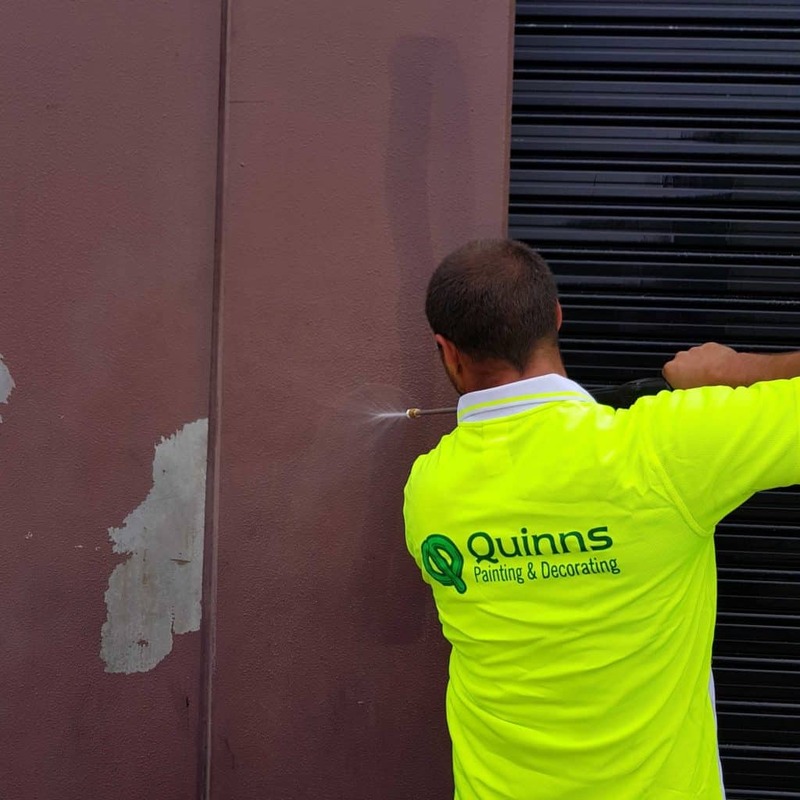 Why spend time scrubbing your properties exterior surfaces when you could let the team at Quinns Painting and Decorating do it all? Our company provides a pressure cleaning service suitable for exterior surfaces like footpaths, roofs, gutters, paving, pool areas, driveways, decking or even just for general cleaning. We use environmentally friendly and efficient methods that require little water and high pressure for an optimal finish. While heavy-duty cleaning products can be effective in removing build up on outdoor surfaces, they introduce large amounts of harmful chemicals into the environment, whereas pressure washing relies on the blasts of water produced by large amounts of force, lifting stains, mildew and any other substances from your outdoor area. The processes we use, not only improves the aesthetics of your property and outdoor living areas, but actually prolongs the life of your outdoor surfaces. The untimely deterioration of most outdoor surfaces is due to poor maintenance and lack of care. 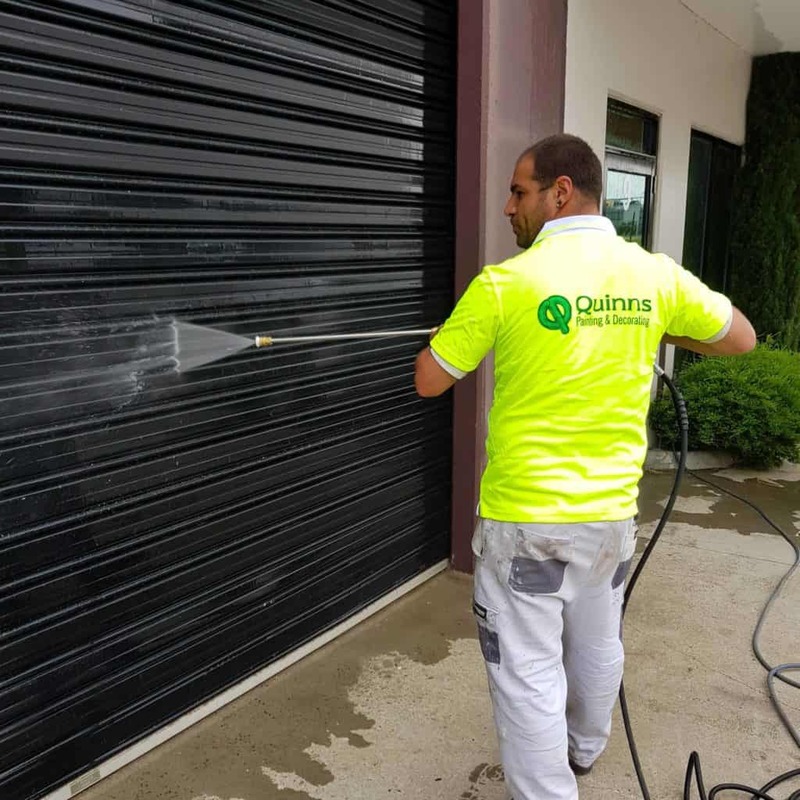 When hiring Quinns Painting to pressure wash your property’s exterior surfaces, you can prevent this deterioration, extending the life and value of your assets. By removing anything from dirt to harmful molds, pressure washing makes your property safer for you, your family and others. We have built a strong reputation amongst both our residential and commercial clients by providing a high quality range of pressure washing solutions. Our pressure washing process is a great way to dramatically improve the appearance of your property and it surrounds. Increase the value of your premises with Quinns Pressure Cleaning. It’s fast and very affordable. Pressure cleaning paved areas, pathways, driveways and patios can dramatically improve the appearance of any outdoor area. Our fully trained staff will take the time to understand your requirements and adjust the cleaning technique (if required) to you suit your needs. We have the experience with cleaning all hard surfaces including concrete, brick, pavers, stone and terracotta. Quinns Painting is a name you can trust for service and support. Call us on (03) 8804 5840 for more information and a free quote.